Click-here to find out more about dinghy sailing courses…. After a training course, participants can practice their skills & gain valuable experience (normally under the guidance of experienced members) at club events, using club boats and equipment. 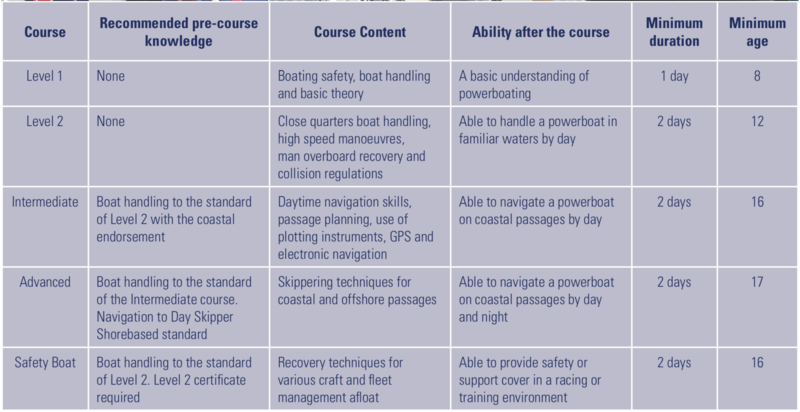 Courses are run on-demand – if you are interested in RYA Powerboat Qualifications, please contact us. Coleraine Yacht Club The Marina, Portstewart Road, Coleraine, BT52 1RN.